I love cars. There is something about the power and the limitless freedom that cars offer. I also love technology. Technology is powerful and also has the limitless ability to change our lives forever. Since childhood, my grandfather has been telling me that one-day cars would drive themselves. Back in the late 1980’s “Grandpa Jack”, a WWII Veteran & engineer, would tell me story after story on how future automobiles would be self-driving, using sensors or lanes with data painted on the roads with computers guiding them. If we look at the technology today and what is on the horizon in the near future, I would say that Grandpa Jack wasn’t too far off. Technology is infusing itself into the automotive field today and is disrupting and transforming how modern society will use automobiles forever. Gartner forecasts that by 2020, 70% of all auto-related customer interactions will be digital1. If you have a new car, you might already have Apple car play or Android auto. Cars being sold today and in the near future will be connected with not only infotainment devices such as Apple car play, but there are vehicles currently in development that have their parts and diagnostic systems connected to the internet, alerting both the driver and their mechanic of needed or upcoming vehicle maintenance. Welcome to the future because self-driving vehicles are already here. Whether it’s Google’s self-driving car or Tesla’s Model S in auto pilot mode, self-driving vehicles are becoming a reality with each passing day. 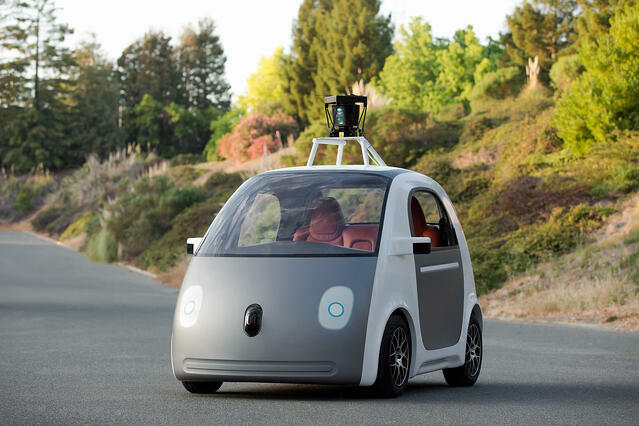 Consumers, however, won’t be the only ones who will benefit from self-driving vehicles. Companies such as Otto, are developing self-driving 18-wheelers that will revolutionize the trucking and transportation industry. With self-driving vehicles becoming commonplace in the near future and services like Uber and Lyft already household names, many analysts expect that consumers will begin using more car-on-demand type services or fractional ownership models3 vs. traditional car ownership. Let’s fast forward 20 years. We’re riding in a connected car, that we don’t own, and nobody’s driving (it’s driving itself). Mark van Rijmenam, Big Data Strategist and CEO of Datafloq, estimates that one self-driving car will generate over 2 petabytes of data per year!4. 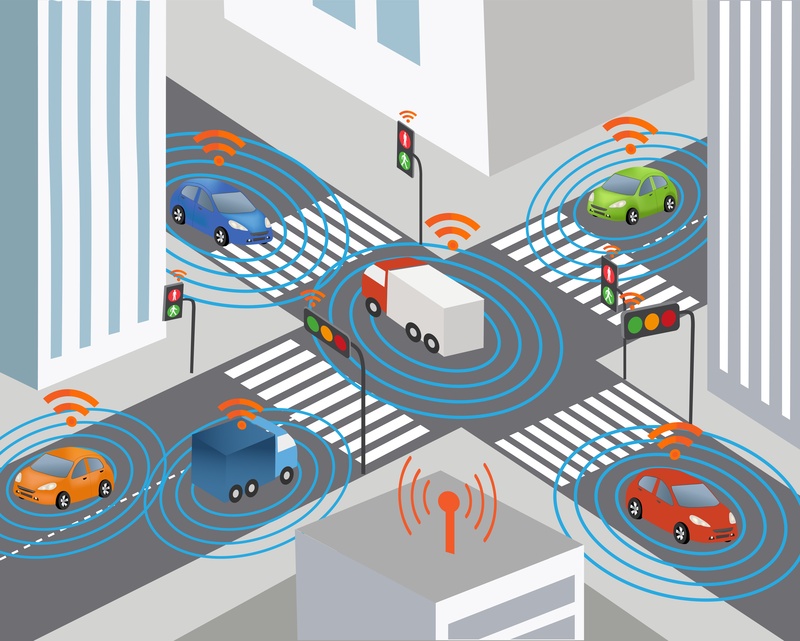 These vehicles will be making real-time data-driven decisions about the surrounding environment, traffic conditions and hazards, vehicle maintenance, location information, and more. Car on-demand services will need to have information systems that are both customer, supplier, and location data powerhouses. On-demand services will need to be able to locate their nearest available car in a given location, while also knowing the specific schedules and habits of the customers who will be using their services. These cars will also be able to recognize when a part is failing, know which mechanic has the needed part in stock, and will be able to drive itself to that location for service. In this AutoTech ecosystem of the future, it will be imperative that the data these vehicles are exchanging is reliable and properly managed. In order for the future infrastructure to work, multiple disparate systems need to communicate and exchange data seamlessly across multiple channels. To face these challenges, a Multidomain Master Data Management (MDM) solution will serve as the technical bridge between the massive amounts of data the automobile will be exchanging with various siloed external information systems. Without a reliable MDM platform to ensure data quality and consistency, before, during, and after a drive - would YOU want to take a ride on the automobile of the future? We wouldn't either. Are you making decisions based on data or information?